You may have spied that Waitrose have a new range out, Waitrose 1 which symbolises the very best of Waitrose. 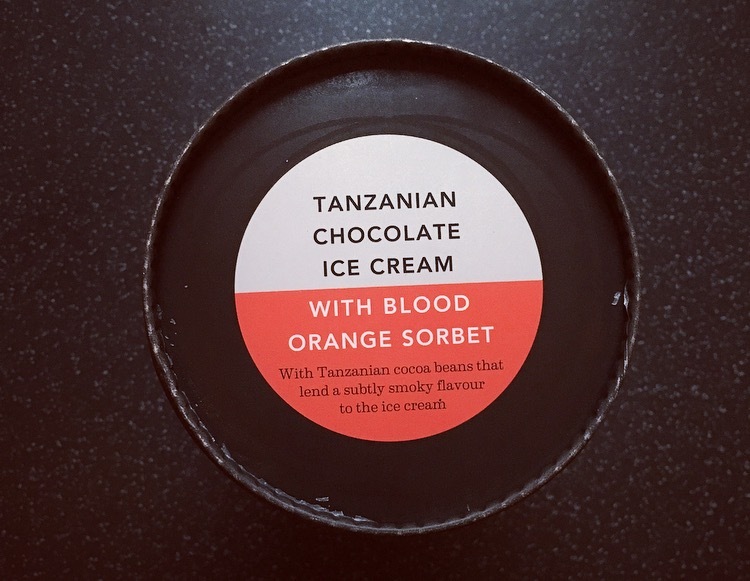 There are quite the number of goods on offer and fresh on the scene is today’s review of Waitrose Tanzanian Chocolate Ice Cream with Blood Orange Sorbet. 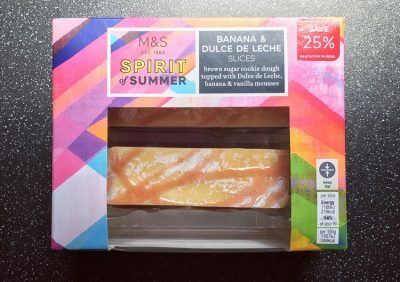 It is quite the mouthful but I spied it on their new adverts looking all seductive and delicious and knew it was a must buy in the Ocado shop this week. I am afraid there is no glorious bowl shot. 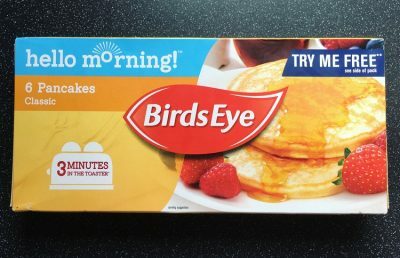 It recommends you wait 10 minutes before serving, which is not possible in this house. After 5 minutes it was soft enough to scoop but just didn’t look all that pretty. Look at the beautiful contrasting colours, it is certainly one that grabs your attention. The chocolate ice cream was smooth, very bitter and chocolately. It isn’t anything to rave about per say, it is just chocolate ice cream but it taste of quality chocolate. The blood orange sorbet is texturally contrasting and brings a zingy tangy hit of refreshing intense orange flavour. The sorbet was a nice element and gives it just that little bit of sweetness. On their own they are both strong power packed flavours that I thought would be fighting one another to be top dog, however I was surprised that this wasn’t the case. Taking a scoop of both, these flavours complemented one another perfectly. The bitter chocolate meets zingy sweet orange and gives you one heck of a chocolate orange. 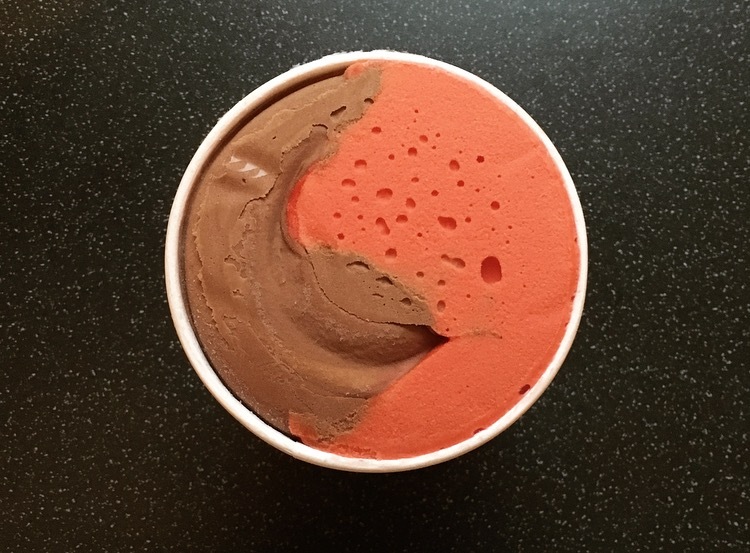 It’s a winner guys and gals and we have one delicious chocolate orange here with this Waitrose Tanzanian Chocolate Ice Cream with Blood Orange Sorbet. I have to say I am a little in love with this new tub albeit the price is a little off putting at £4.29 a tub. The Blood Orange Sorbet definitely saves the day and is certainly a must try. These were reduced the other week…I so wish I’d bought one!